Brand new construction. Our popular Cypress floor plan has been modified to make a 3 car garage, 1580 sq ft with 3 bedrooms 2 bathroom split floor plan. Upgrades include group 1 tile everywhere except bedrooms. Upgraded granite counter tops with Venetian Gold granite, concealed fire sprinklers, Andover nutmeg raised panel cabinets. Master bathroom includes jetted tub with tile surround and separate tile surround shower. 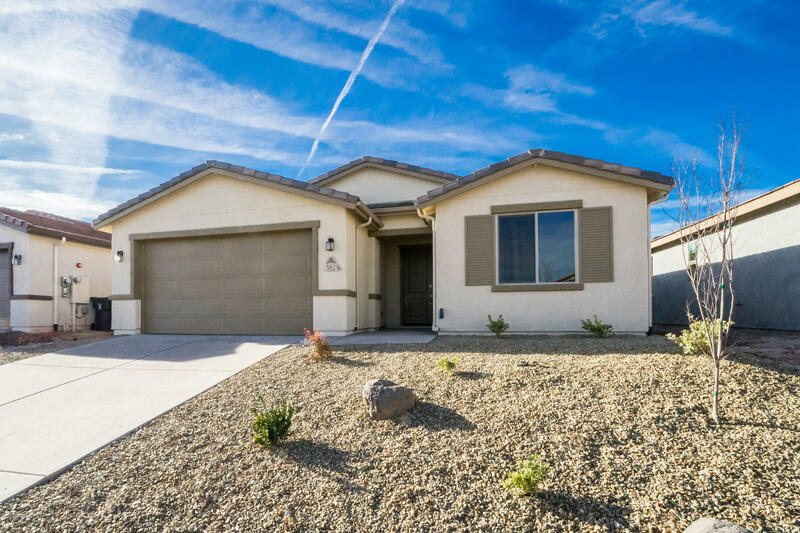 Std features are 2x6 construction, EnergyStar Indoor AirPlus certified, tankless on demand hot water heater, landscaped front yard, post tension foundation, full privacy fenced backyard, extended patio with bbq gas stub. 3.4KW Solar System installed. 240v 50amp Spa Outlet in backyard. Move In Ready.